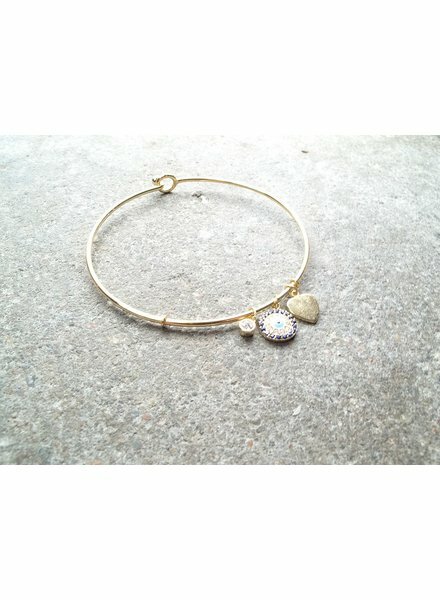 Gold plated sterling silver blue rhinestone evil eye thin bangle with heart and rhinestone accent charms. Gold plated sterling silver rhinestone evil eye thin bangle with heart and rhinestone accent charms. 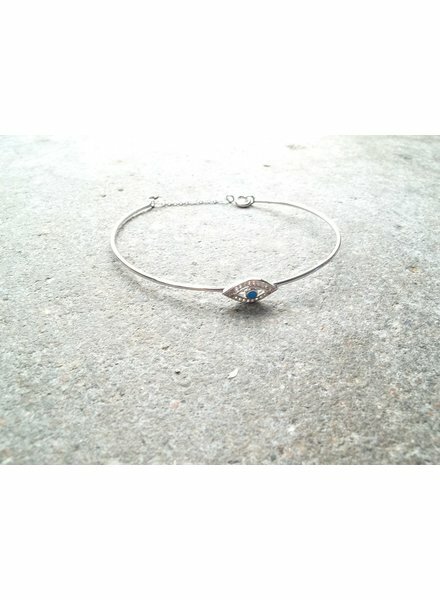 Sterling silver evil eye thin bangle with small chain connector. 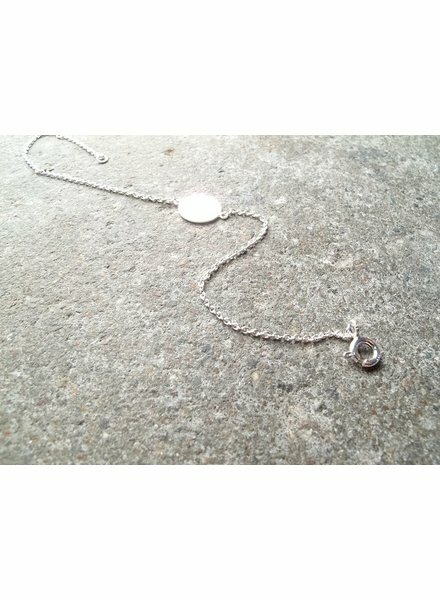 Sterling silver thin chain bracelet with small disc pendant. 6.5-7 inches (adjustable). 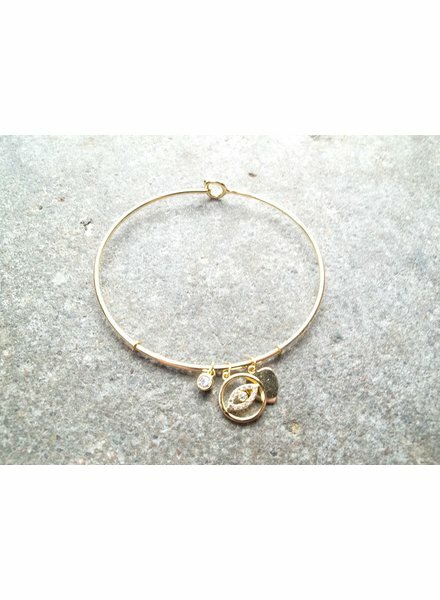 Gold plated on sterling silver bracelet. 6.5 inches with a .5 inch extender. Sterling and gold plated rhinestone anchor bangle. Sterling silver mini hamsa braclet with tiny rhinestone center. 6.75 inches in length with a 1 inch extender. Sterling silver or gold plated triangle shape bangle.